For my family, setting small goals is how we plan to reach financial independence … someday. In this case, we are setting a new goal that will help increase our annual dividend income by over 40%. In a little over a year, we plan to have increased our annual dividend income by 0. That good thing about that type of increase, is that it is sustainable year after year. We are now at the end of October (2016) – so this week I started updating recent stock purchases, dividend income, and dividend increases. I keep a detailed spreadsheet of our portfolio that includes all of the dividends we have received, which is updated once a month. I also track our yield on cost and projected annual dividend income for each of our stocks. With the close of another month, we are on pace to earn $1,925+ in dividend income this year (2016). That is well below our goal of $2,250 we set early in the year. We knew that hitting our goal of $2,250 was a stretch. It ultimately came down to us not investing 20% of our income like we had planned. While we are not going to hit our goal, we will still increase our dividend income this year by over 30% compared to last year. Things could certainly be worse! Recent dividend reinvestment’s and increases has pushed our projected annual dividend income up to $2,100+. This number is a projection of what we think we will earn in dividends over the next 12 months. It assumes the companies we own will at least maintain their dividend over the next year. Any dividend increases, reinvested dividends, or new money invested will push the annual dividend income higher. Dividend cuts and selling any of these stocks would drop the annual dividend income lower. Overall, we feel that our projected annual dividend income of $2,100 is the lowest it could be over the next year. Another metric that we track is known as the yield on cost (YOC). This number basically represents the stocks annual dividend divided by the original purchase price of the investment. In almost every case, our yield on cost is higher than the current dividend yield. Here is more information on how to calculate the YOC – yield on cost. So with recent updates to the portfolio, our total yield on cost for stocks we own is a healthy 4.49%. I keep talking about investing at least 20% of our income into dividend stocks. Why? I think it is a good starting point for our family to set a goal for savings – which leads to investing. To be honest, investing 50% of our income would be ideal … but we are just not there yet. So for now, 20% is what we are targeting. With recent updates to our budget and a new focus on becoming financially independent, I think we can invest 20%. And then hopefully build upon that number. With 2 months remaining this year and another 12 next year … we are ready to set a new goal. Instead of setting a goal to earn “X” dollars next year in dividend income, we are going to do something different. We are going to set a goal to increase our annual dividend income number (currently $2,100) instead. Our new goal is to use the next 14 months to grow our 12 month annual income projections to $3,000. That is an increase of about $900 in annual dividend income. That may not seem like a lot but it is a lot easier said than done. #1 – Reinvested Dividends – whether we are using DRiP or reinvesting on our own, the income we earn will be put back into new shares of stock. Remember that in order to get ahead … You need to make your money work for you. #2 – Dividend Increases – dividend increases from the companies that we own will help increase our annual income. We anticipate that most of the stocks we own will increase their annual dividends over the next 12 months. #3 – New Investments – This is where we will get the biggest increases. New investments over the next 14 months will help drive our future dividend income. Based on several calculations, we will need to invest at least $20,000 in new money over the next 14 months. That averages out to about $1,430 per month – which is higher than our $1,080 amount that is 20% of our income. That new number is actually a little over 26% of our income. We will try and offset the difference by decreasing our spending, increasing our income, and using our tax return to invest. Based on this $20,000 amount, we believe our annual dividend income can rise to $3,000 by next December (2017). 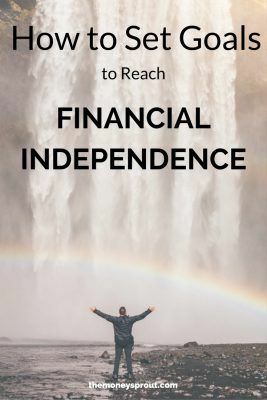 It is time for us to get serious about financial independence (FI). Becoming financially independent does not just happen on it’s own. It takes planning. It takes sacrifice. But it is possible and not that complicated. Will we become financially independent by investing $20,000 in new money by next year? Can we retire early if we increase our dividend income to $3,000 per year? But by following this plan, we will inch a little closer to financial independence. What steps are you taking to become financially independent?